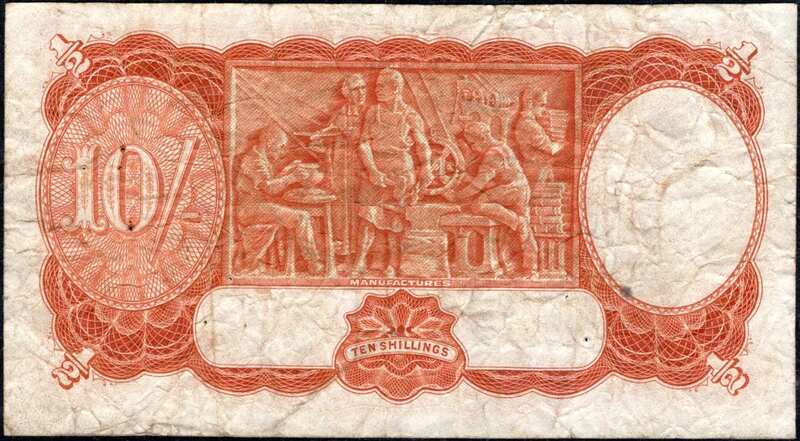 Banknote Description:Ten Shilling King George VI Star note. *Grading of Fine has been authenticated including all square edges. There are neither tears nor rips. There are 8 pinholes. RR: $7500.00. 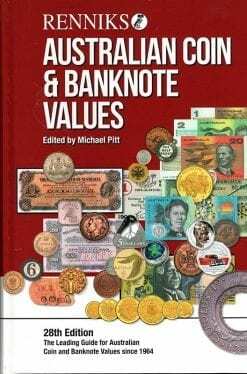 Source: Renniks 28th edition Banknote/Coin Catalogue 2018. Historical Notation: The Ten Shilling Armitage/McFarlane issued in 1942 was the first of all pre-decimal and decimal paper issues. Comparative pre decimal star banknotes of Coombs/Watt or Coombs/Wilson in this grade of Fine have a RR of $2000.00. 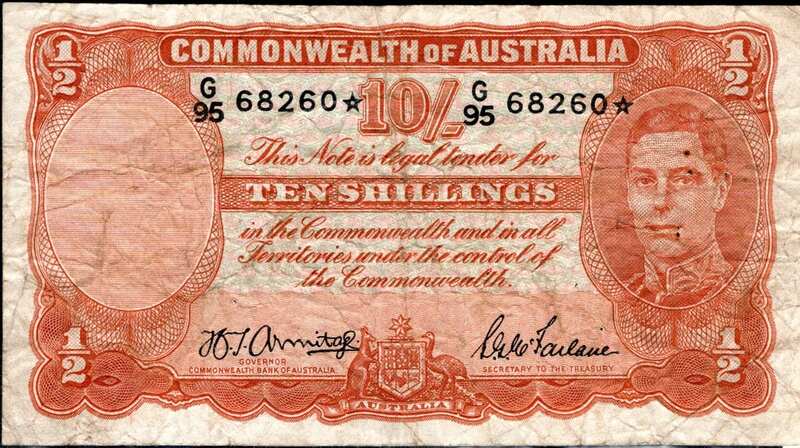 This banknote is a wonderful addition to any collectors portfolio.